Conjuring up images of white sand beaches, impossibly blue waters and friendly people, Sardinia really is one of the jewels of the Mediterranean. 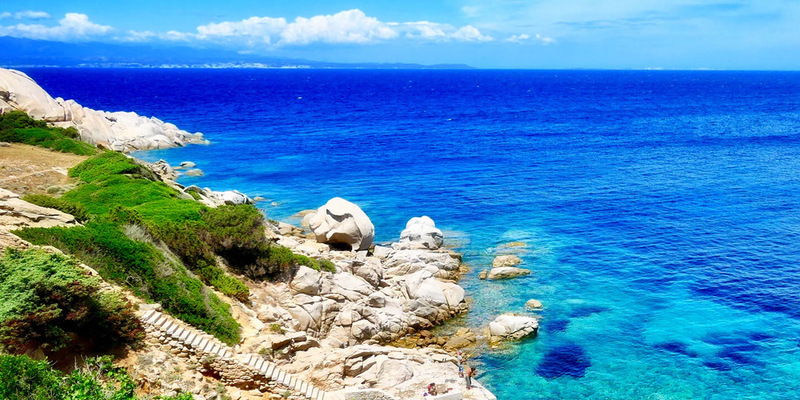 While many opt for Tuscany or Lake Garda for their Italy camping trips, there’s much to be said about a holiday on the slightly wilder and more rustic island of Sardinia. From the unique cuisine to the jaw-dropping landscapes, here’s five reasons why camping in Sardinia should be top of your list. You’re not likely to get cold when camping in Sardinia thanks to its balmy climate and location in the middle of the Med. On average, the island experiences over 2000 hours of sunshine a year, but all that heat is balanced out by pleasant sea breezes. Sardinian food is utterly unique from all other Italian cuisine thanks to the island’s historic links to Spain and North Africa. 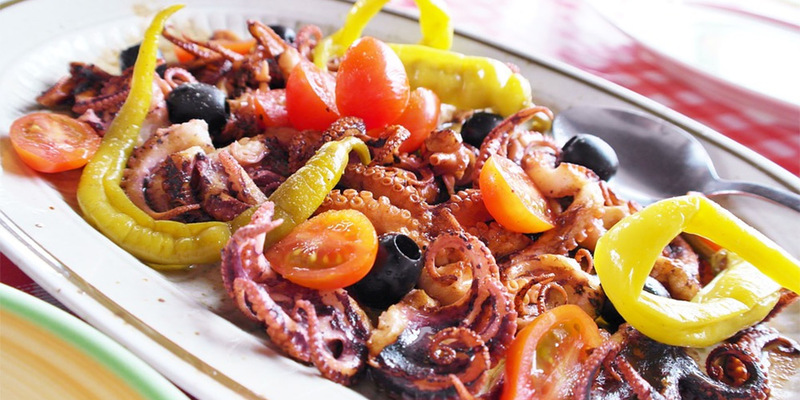 You’ll find plenty of fresh seafood, from lobster to some of the tastiest tuna on the planet, as well as specialties dishes like octopus salad or fregola — a type of pasta made from semolina that’s rolled into balls and typically seasoned with saffron and herbs. Fancy camping by the beach? That’s definitely an option in sunny Sardinia where there’s endless golden stretches and idyllic coves to choose from. The island is famed for having many incredible white sand beaches, plus there’s loads of fun water sports activities on offer to keep kids entertained. 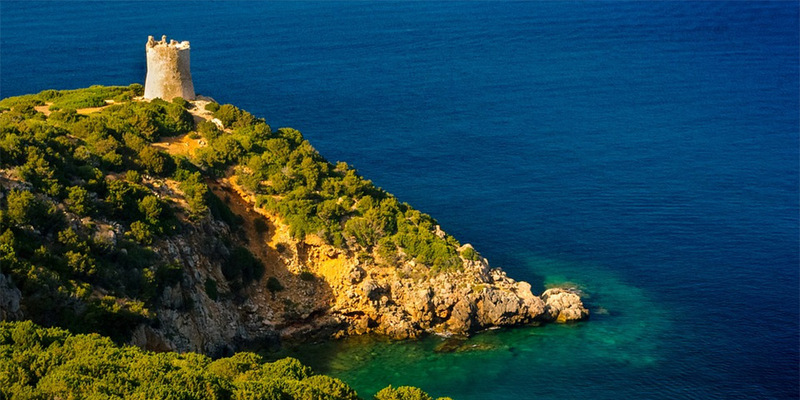 Opt for a stay at Camping Bella Sardinia, on the island’s stunning Sinus-Peninsula, that’s not only surrounded by lush pine forest but is also just 200m from a gorgeous beach. If you’re keen to fit a hike in on your Sardinia camping trip, you’re in luck as the island has an abundance of brilliant landscapes. Follow the Orosei trail along the coast at Cala Luna for breath-taking views or head inland to Gola di Gorropu, a spectacular gorge in the heart of the Supramonte mountains. For somewhere even more tranquil, stay at Camping Tonnara on the small yet idyllic island of Sant’Antioco. 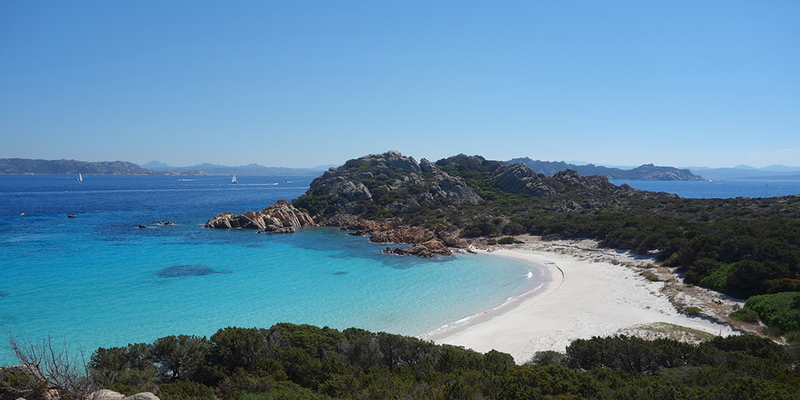 It lies a few miles off Sardinia’s south coast and is home to several ancient Phoenician ruins. There are so many attractions to explore in Sardinia that are suitable for the whole family – and we don’t just mean the beaches. Have young kids who’d love the chance to splash around and whizz down slides? Head to one of Sardinia’s fantastic waterparks like Splash Aquapark near Alghero or Diverland just east of Cagliari. For a more natural outdoor adventure, Sardinia has a warren of caves and grottos along its coastline that can be explored on foot or on a boat tour. 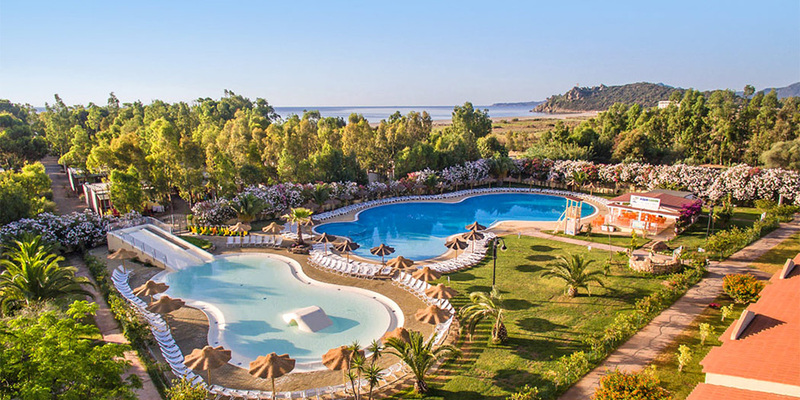 Our Canvas Holidays Sardinia campsites are also fit to bursting with child and teen friendly activities, including fun clubs, bicycle hire and a diving school at Camping 4 Mori Family Village.